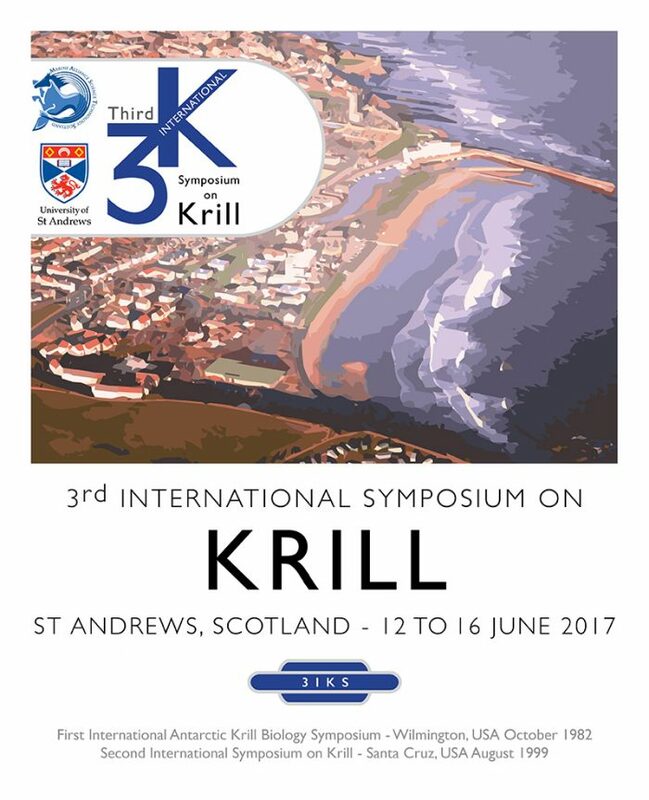 PolarTime scientist presented latest results on the 3rd international krill symposium in St. Andews, Scottland. 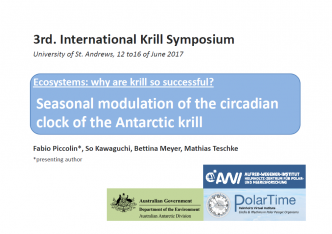 Find out more about the presentations of the PhD students Fabio Piccolin and Flavia Höring. 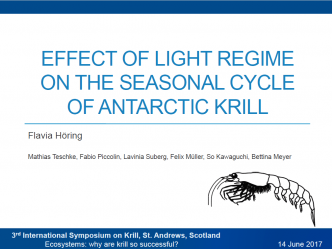 The opsin repertoire of the Antarctic krill Euphausia superba. 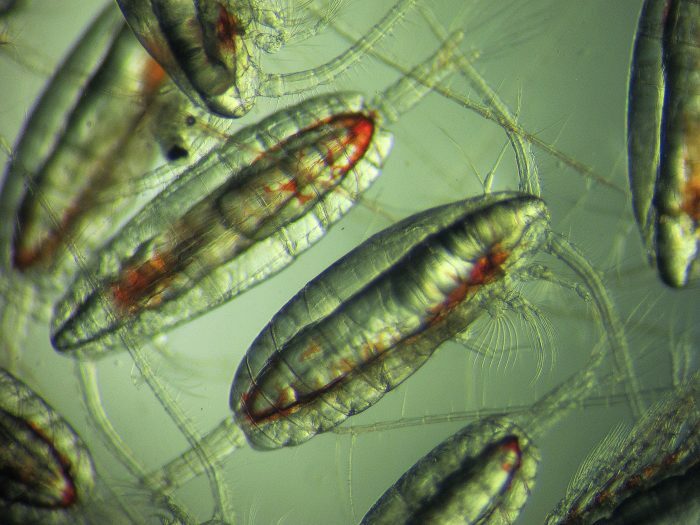 PolarTime researchers have published an article about the opsin repertoire in krill. 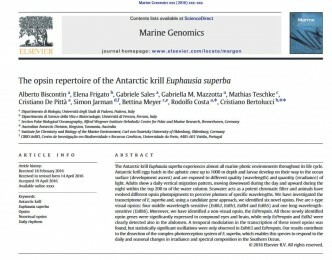 Find the article here.